After postdoctoral fellowships in developmental psychology and in environmental health, Dr. Muckle was professor at the Department of Social and Preventive Medicine at UL for five years before being hired at the School of Psychology in 2003. Her area of specialization, developmental and behavioral teratology, integrates concepts from child development, toxicology and epidemiology. Her research focus on developmental effects of pre- and postnatal exposure to environmental contaminants such as pesticides and heavy metals. This work brought her to work with highly exposed populations like the Inuit of northern Canada. Her work based on a cohort of Inuit children followed from pregnancy to adolescence helped shed light on the developmental effects of mercury, lead and PCB exposure. Dr. Muckle is also co-principal investigator of the Canadian MIREC mother-child cohort providing data on effects of low exposure to environmental chemicals. Results of her work and are used by Canada to support the signing of the Minamata Convention on mercury. She has received research grants from CIHR, FRQS, NIH, Indian Affairs and Northern Development and Health Canada. She has been a member one CIHR Institute advisory committee and the Canadian Government Chemicals Management Plan Challenge Advisory Panel. I am a dual boarded child neurologist and neonatologist who undertakes clinical and translational research into the nature and timing of brain injury and alterations in brain development using magnetic resonance imaging (MRI) techniques. I have undertaken longitudinal studies in three large cohorts of high risk infants that have been followed up to adolescence to examine the relationship of alterations in brain structure to developmental outcomes. My laboratory aims to undertake clinical investigations of treatments and preventive strategies that may improve outcomes in high risk infants. We also strive to have a means of accurate, early diagnosis of brain injury or altered brain development. I have published over 200 peer-reviewed scientific papers. Alongside this focused research effort, I have acquired leadership skills in neuroscience research and academic activities, including mentorship. I was recruited to Brigham and Women’s Hospital in 2013 as Chair of new Department of Pediatric Newborn Medicine. 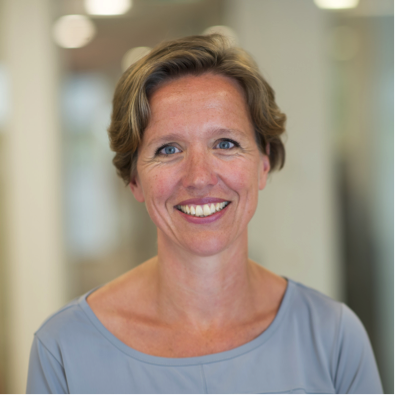 Tessa Roseboom is a Professor of Early Development and Health at the Academic Medical Centre in Amsterdam, the Netherlands. Her work focuses on the impact of the early life environment on growth, development and health throughout life. Her studies in the Dutch famine birth cohort provided the first direct evidence in humans that maternal nutrition during gestation affected offspring´s and potentially grand-offspring’s health (www.hongerwinter.nl). Her current research focuses on the fundamental biological processes that underlie ‘developmental programming’ and on translation to current pregnancies, in developed and developing settings. These studies include observational and experimental studies of the long-term consequences of lifestyle interventions before and during pregnancy (www.womb-project.eu), obstetric interventions, hyperemesis gravidarum, and assisted reproduction techniques. The ultimate aim of her work is to contribute to improved human health by giving each child the best possible start in life. Dr Clifford Librach completed his Medical School and Obstetrics and Gynecology Residency training at the University of Toronto, followed by fellowship subspecialty training in Reproductive Endocrinology and Infertility (REI) at the University of California, San Francisco. Dr. Librach is the founder and Director of the CReATe Fertility Centre in Toronto. He is a Professor in the Department of Obstetrics and Gynecology at the University of Toronto. Dr Librach has made significant contributions to current fertility practice in Canada and Internationally. He has served on provincial and national committees for the development of standards for the practice of REI in Canada. Dr Librach is the current president of the Canadian Fertility and Andrology Society (CFAS). Dr. Librach is a leader in the field of reproductive biology research. Some of his major basic science contributions include identifying the role of HLA-G in pregnancy and preeclampsia, uncovering important factors indicative of embryo quality, developing new methodologies in preimplantation embryo genetics, improving andrology diagnostic testing, and he has carried out pioneering research on the use of a novel multipotent progenitor cell from umbilical cord perivascular tissue for regenerative therapy in both reproductive and non-reproductive applications. From a clinical research standpoint, Dr. Librach has been a pioneer in the development and reporting of the Canadian Reproductive Technologies Registry (CARTR) and has helped guide the development of the Ontario BORN ART database. This database provides a unique link between all aspects of IVF treatments and pregnancy outcome, and his research involving this database has helped him uncover interesting correlations between IVF laboratory procedures and maternal and neonatal outcomes. He is also studying psychosocial aspects and pregnancy outcomes related to third party reproduction (surrogacy and gamete donation). Dr. Librach has been an invited speaker at greater than 40 international and national meetings.